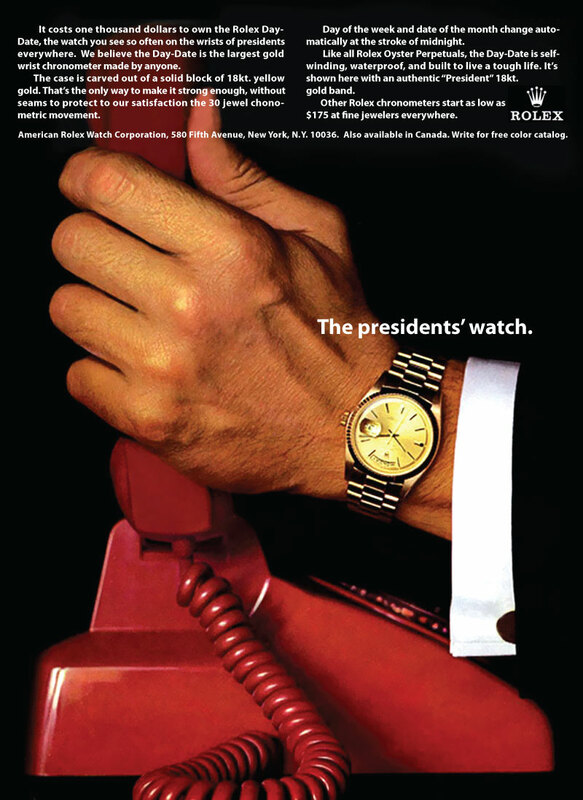 Rolex is a company that many, many marketing companies are in awe of since Rolex is the number one top rated company in the world when it comes to their reputation. Many companies inside and outside the horological world have attempted to study Rolex's Playbook, but the challenge is Rolex has not left many clues behind, as they are extremely discreet. That is why this correspondence between marketing guru, Mark McCormack and then Rolex Director, Rene-Paul Jeanneret is so insightful and interesting. 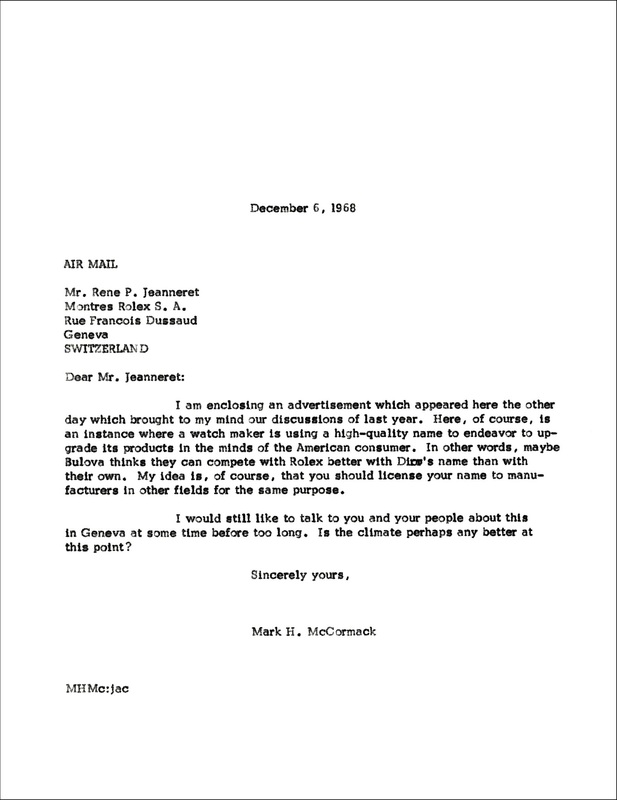 The gist of Mark McCormack's letter seen above to Rolex Marketing Director, Rene-Paul Jenneret is that he believes Rolex should license its name to other manufacturers to make non-watch products. 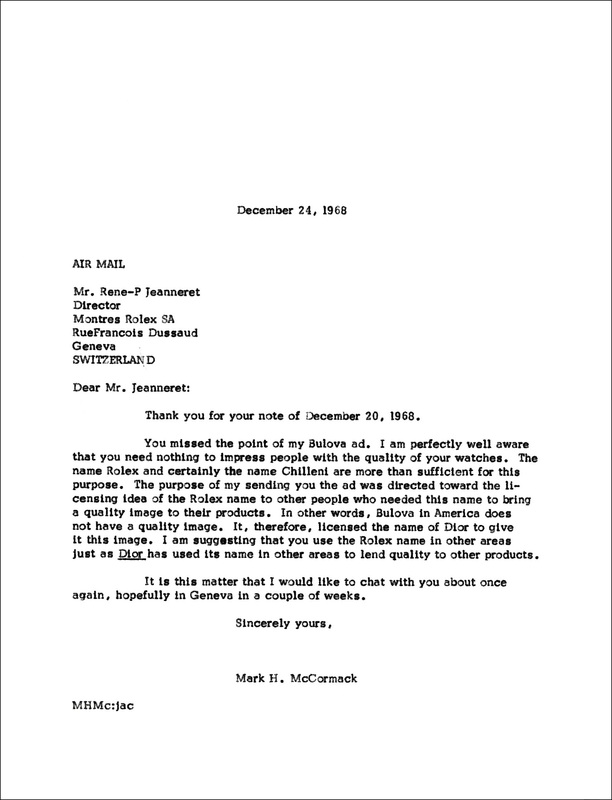 Mark McCormack uses Dior as a specific example, which went crazy licensing its own name in the later 1960s and 70s to make all kinds of things like alarm clocks. It appears Rene-Paul Jeanneret refuses the idea, which in retrospect, was likely a good idea. 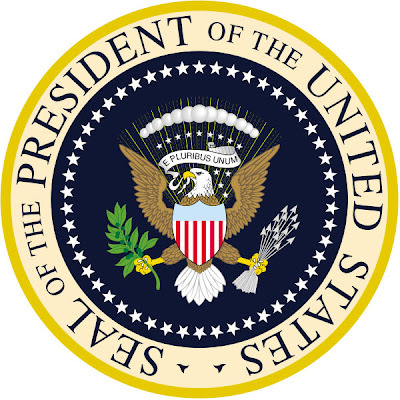 Mark McCormack was an American marketing tycoon, who among other things was responsible for representing Arnold Palmer's ambassadorship with Rolex. 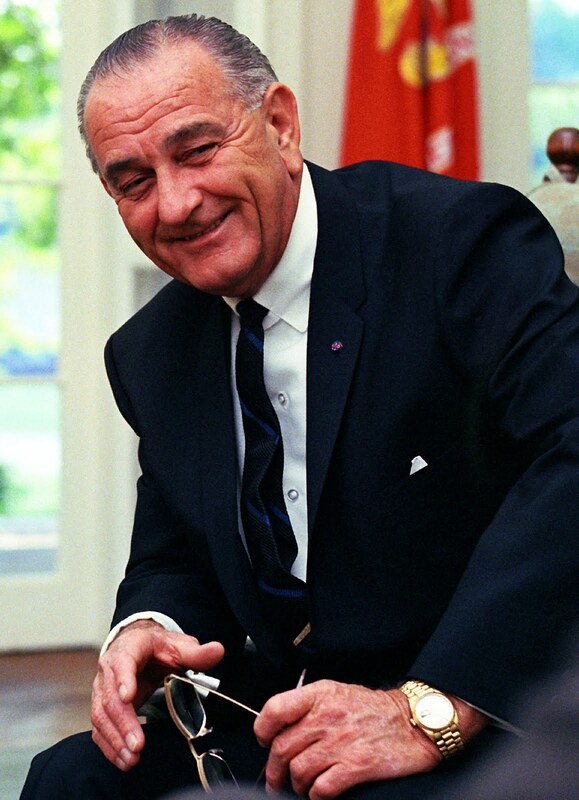 Mark McCormack was largely responsible for coining the term, "The Rolex President", and it is fascinating to consider that Lyndon Johnson was the President of The United States when this letter was written. 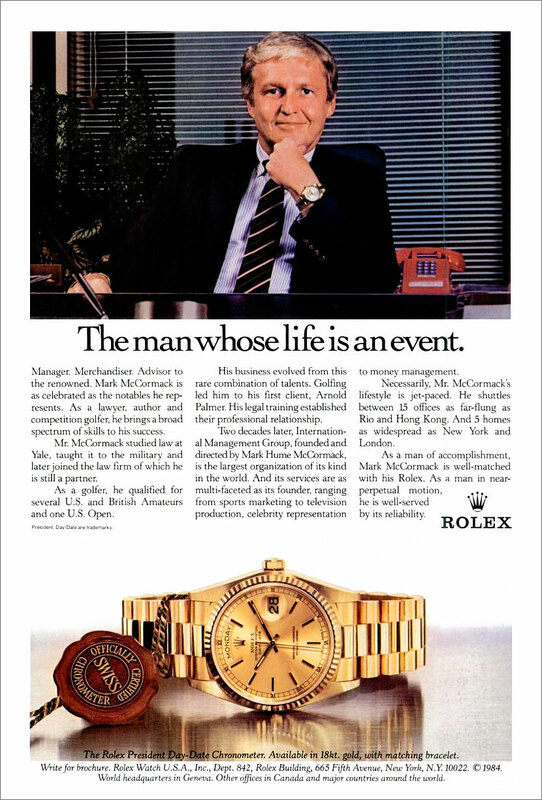 The Rolex President ad pictured below was published in 1966, and I believe, from all my research, that Mark McCormack was the marketing genius who coined the term, "The Rolex President", as a nickname for The Rolex Day-Date.